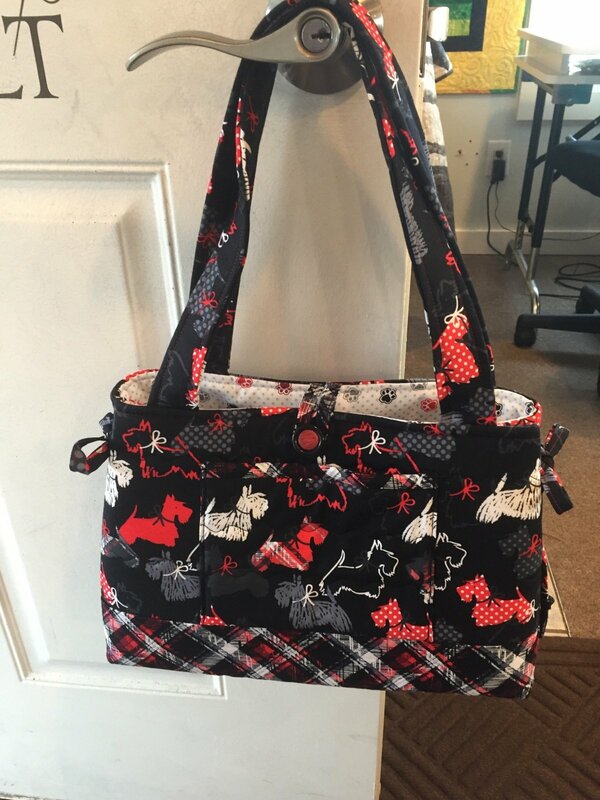 The bag has one outer pocket and pockets all the way around the inside. Plenty of room for anything you need to carry! Finished size is 11" wide x 10" tall x 5" deep.